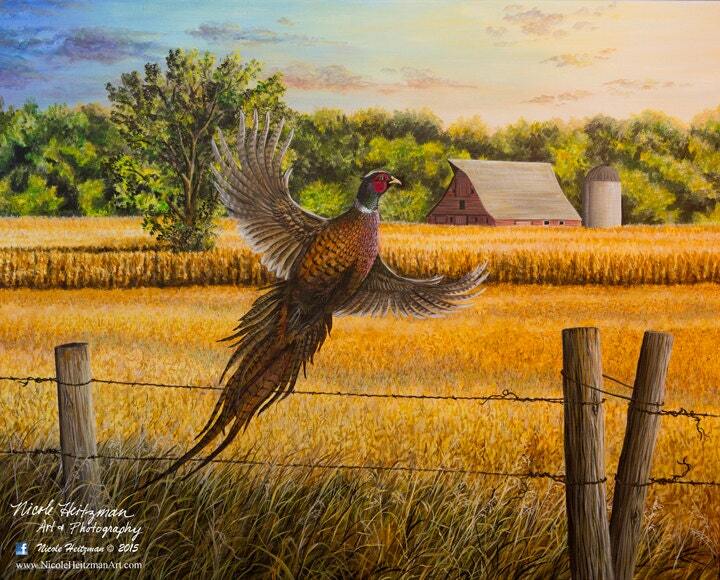 This scene by artist, Nicole Heitzman, depicts the beautiful ringneck pheasant of South Dakota. The economy is boosted each year by the pheasant hunting season. Thousands of hunters come to SD each year to enjoy the hunting experiences & the beauty that SD has to offer. "Homestead Heritage" is a 20" wide by 16" high Canvas Giclee Print. This edition has 300 prints. Framing options are available. For framing options and prices, please contact Nicole!